A Midland interloper on the Great Western Mainline! Making a change from the usual three car Class 117 and 119 DMUs, Tyseley's Class 116/115 hybrid set T410 (53124, 59713, 59602 & 51862) passes South Moreton (Didcot East) on 16 November 1988 with the late running 12:24 Oxford to Reading service. 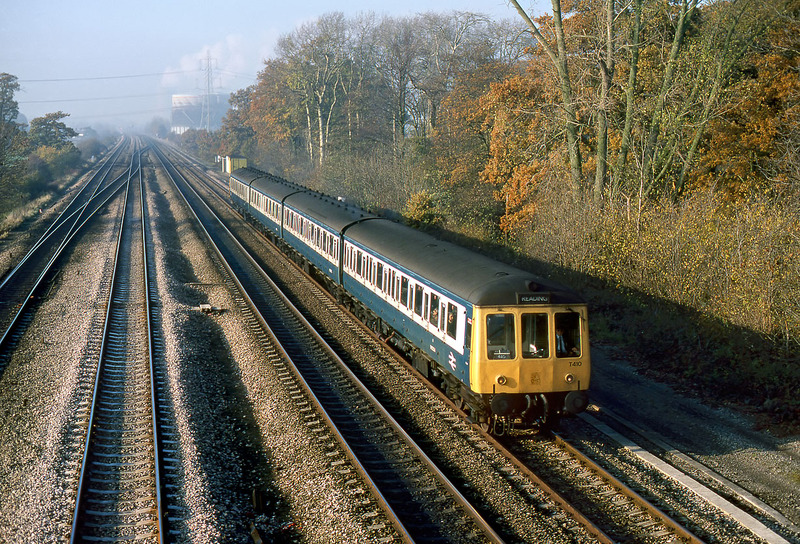 Unlike the previous year's use of a Midland unit working through from Birmingham, this appears to be a short notice replacement for a Western Region set.